If you have been notified of a construction defect either by the purchaser, or more likely, by the courts, it is important to know your rights. Most construction defect lawsuits are based on the contract that was in place by the owner of the home or other structure and the developer. Contractors and subcontractors (including architects, engineers, suppliers, and others) can also be named in the suits. While it is unfortunate that defects can occur in construction projects, that doesn’t always mean the developer is at fault. Protecting your rights throughout this process is critical for the success of your business. What Exactly Is a Construction Defect? A construction defect is any type of condition in your home or other structure that will reduce the value from where it would otherwise be. Some of these defects occur with the normal aging of the building, and others can be the result of something that happened when it was originally built or when an expansion or other project was completed. If the defect can be traced back to work done on behalf of developers, the owner may be able to file a lawsuit. Some of the most common types of construction defects that result in lawsuits include water issues related to defective piping (this could include mold issues), electrical problems, problems with drainage on the property, foundational issues, structural failure, and more. In many cases, multiple different defects will be discovered and included in the legal action. One of your most important rights, which is found under Chapter 558 of the Florida Statutes, says that developers have the right to inspect the defect and take steps to cure them before any legal action can be taken. In many cases, fixing the problem will be far less costly and time consuming than going through with the lawsuit. You have the right to perform testing and other actions on the defect to determine fault. It may be possible, for example, for you to show that while the defect exists, the problem was with a particular piece of material and there was no way you would have been able to know. This may then make it so the supplier of that material would be responsible, not your firm. No structure lasts forever, and the State of Florida recognizes this in their laws. In most cases, the owner of the structure must bring a cause for action related to a construction defect within four years of either the date of actual possession, the date of the issuance of a certificate of occupancy, the date of abandonment of construction, or the date of completion/termination of the contract. The potential for a lawsuit due to a construction defect can be quite frightening, but you do have important rights. Contact Florida Construction Law Group to set up a consultation and go over your options to get through this event. Construction work tends to be one of the most dangerous forms of work for employees in the US, and as an employer, you are ultimately responsible for the health and safety of your workers. The nature of unfinished construction—such as moving and securing large and heavy materials, exposed electrical systems, and numerous other hazards—involves a high degree of risk for anyone working on the job site or even bystanders. When accidents occur, there can be severe consequences for anyone held liable for the damages, including civil and even criminal penalties. In order to be an informed employer when it comes to construction safety and liability, all construction employers should first be familiar with the Occupational Safety and Health Administration (OSHA) as well as OSHA laws. This government entity enforces strict safety standards and employer obligations with regard to protecting employees. Construction employers—as well as employers in most other industries—are responsible for providing a safe workplace for their employees, as well as finding and correcting safety issues, providing safety training to employees, and much more. They must also report any serious injury or fatality incidents to OSHA. As long as you maintain worker’s compensation insurance and you have fulfilled all of your obligations with regard to OSHA, you will likely be protected from personal injury lawsuits. 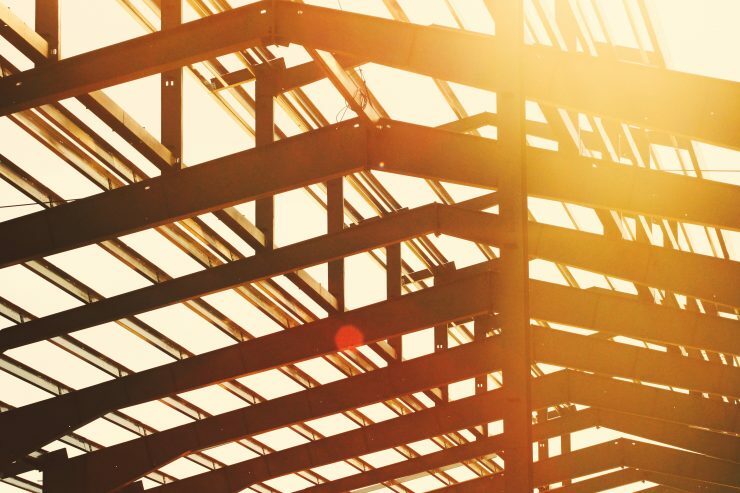 However, in cases where an accident occurs as a result of intentional or severe negligence, there are a number of construction-related entities that have the potential to be held liable for damages in a Florida construction accident. For example, construction site owners can face penalties for premises liability, general and subcontractors must fulfill their OSHA duties to their employees, prime contractors can be held liable if an accident occurs as a result of their construction responsibilities or as a result of actions taken by a subcontractor hired by the prime, and even engineers and architects can be held liable if they fail to ensure that the construction is being completed in accordance with their plans. Manufacturers, too, may be responsible if an injury or fatality occurs due to a defective product. One important factor to consider regarding construction accident liability is that Florida is a pure comparative negligence state. This means you, as the defendant in a construction accident lawsuit, may reduce or eliminate the damages you owe based on demonstrating that the injured party was to some degree responsible for the accident. For example, if you were found 75% at fault for the accident, while the employee was 25% at fault, the employee could potentially collect 75% of the damages they could have otherwise collected if you were 100% at fault for the accident. With so many parties being involved in construction projects, construction accident liability can be incredibly complex. It is vital that you enlist the services of a skilled construction attorney to advise you regarding your obligations under OSHA and to defend you in cases where an accident has occurred. Contact the Florida Construction Law Group today to learn how we can help. Construction projects lend themselves to the filing of claims and lawsuits unless everything relating to the construction project goes exactly as planned. In order to avoid claims and lawsuits, the contractor must avoid change orders, must avoid shortage of materials and labor, avoid delays of all kind whether it is payment, labor material, permitting and even weather. It not realistic for this to happen as most of these items detailed above are outside the control of the contract and property owner. When contractors encounter owner-caused delay, they are typically entitled to recover both time and damages. While direct delay damages like increased equipment costs, incresed labor costs and material escalation costs are fairly easily calculated, indirect costs such as office overhead or general conditions costs are far less so. There are several methods for calculating office overhead costs and general condition costs. If you are experiencing problems with homeowner delays, please feel free to contact us because you may experience substantially more damages as we can assist in determining whatoverhead costs are recoverable and how to calculate office overhead costs. It is also important to determine the differences between “actual cost” and “total cost” calculation methods and determine the contractor’s obligation to mitigate damages. In construction defect claims, various insurance policies are often implicated. In Florida, there are multiple triggers for determining whether property damage occurs during a policy period. One trigger is manifestation (which commences from the date of discovery or the date a reasonable inspection would show discovery of the damage) and another trigger is injury-in-fact (the property is blatantly damaged). Under the injury-in-fact, the main inquiry is the date of the property damage. If the date of the damage is during the policy period, then the policy is applicable. Under the manifestation, the applicable policy is the one in place at the time of the discovery of the property damage. In Carithers v. Mid-Continent Casualty Company, the Florida federal appellate court held that injury-in-fact, not manifestation that determined the applicable insurance policy. In Carithers, the homeowner filed suit for construction defects associated with their house and alleged the defects could not have been discovered until 2010. The general contractor’s insurance company’s policy lasted until 2008. Therefore, the insurance company provided a defense that they had no duty under the policy when the homeowner’s damage was apparent in 2010. The Eleventh Circuit Court of Appeals concurred with the district court that injury-in-fact was applicable, not manifestation as the Insurance had argued that manifestation was appropriate. The Court examined the applicable insurance policy and found that the plain language of the insurance policy stated that property damage occurs when the damage happens, not when it is discovered or discoverable. However, the court, limited it’s holding to the facts of this case and did not rule on which trigger applies where it is hard to determine when the property was damaged. This case demonstrates that insurance policy’s language is central to the determination of when the damage commenced. The key for determining insurance coverage will be the language of the insurance policy and determining when the damage occurred. If the policy language mirrors that of Carithers, and the damage date can be ascertained, the likely trigger will be injury-in-fact and not manifestation. By definition, a construction defect is a condition that reduces your home’s value. There are two primary categories of defect: “patent” defects, which can be spotted right away, and “latent” problems that don’t appear until years after your home was built. What are the most common types? The construction defects most commonly involved in litigation include water problems, faulty drainage, mold, dry rot, and cracks that appear in the roof, walls, or foundation. For a claim to succeed, a homeowner must have an expert examine the defect, determine its source, and recommend ways to remedy it. This expert will then testify in court to back the plaintiff’s claim. Most times, the responsibility lies with the developers, builders, and general contractors. Designers and architects can also be held liable for construction defects. If anyone was injured due to the defect, the party responsible may be liable for associated damages. Punitive damages could also be levied if the court decides that their conduct was reckless or willful. Is there a time limit for filing? Can repairs be made while a lawsuit is in progress? As a homeowner you are required to prevent further damage to your property, so repairs may be made and the costs are recoverable. Otherwise, the defense may argue that you failed to mitigate damages. Can a home be sold while it is the subject of a construction defects lawsuit? While you are allowed to sell your home during the litigation process, Florida’s disclosure law requires you to inform potential buyers of all known facts about the property, such as taxes, past and present condition, and need for repairs. Litigation over construction defects arguably falls in this category. If you have any questions on the subject, or if you need assistance with any aspect of construction law, we can help. Please contact us today to learn more! Generally the terms of a construction contract are always upheld in court, as the parties both agreed to such terms. However, in Love’s Window & Door Installation, Inc. v. Acousti Engineering Co., Florida’s Fifth District Court of Appeal ruled on not enforcing a contract’s venue selection clause. In the multi-party suit, which commenced in Osceola County, an association filed a claim against the general contractor for a construction defect of a condominium. The general contractor, in turn, filed a claim against a corporation for improper installation who subsequently filed a claim against the subcontractor. The subcontractor moved to transfer venue to Volusia County pursuant to the contract it held with the corporation. Fifth District Court of Appeal ruled against the transfer of the case and the enforcement of the venue clause because of the multiple lawsuits, judicial labor, costs, and inconsistent results. Thus, a contract’s terms may not always be enforced by the Court. Only take a construction job that you thoroughly understand and know you can handle. This is of key importance. If the job requirements include duties that are outside your area of expertise, politely decline and, if possible, recommend an alternate contractor. You also need to pay attention to your gut instincts. If talking to the customer leaves you doubting that they will be easy to work with or you feel that their expectations are unrealistic given your resources, do not take the job. Don’t set yourself up for failure. Foresight is always better than hindsight in these scenarios. Spend some time talking to the customer and going over all the job details. When you undertake a job, you need to have a clear understanding of the scope and nature of the work involved, and know what the customer’s expectations are. Both contractor and customer need to be in agreement on the material types used, timeline to completion, permit application procedures, parties involved in the actual work, etc. Do not assume anything. Take precautions before doing jobs for family and friends. The family and friends of contractors often want more for less, although they may not explicitly state such. To prevent this type of dispute from arising, get everything in writing. Have the customer sign all drawings and specs, and put any change orders in writing, no matter how small. If you verbally agree to make a change, document everything afterward and have the customer sign your summary before proceeding. Keep everything honest and Code-compliant from start to finish. If the customer asks you to build without obtaining the proper permits beforehand or to use materials that do not meet code specifications, decline the job. Following their directions will not protect you from claims or lawsuits that can result from unapproved actions and choices. You could end up covering the cost of rebuilding the structure to code along with any assessed penalties. Questions about construction law? Facing a legal dispute? We can help – give us a call today at (305) 227-4030! Florida Construction Law: What Is a Construction Defect and What Can I Do About It? Defects in materials, workmanship, and design: This category includes stucco and siding deficiencies; water entry via sliding glass doors, roofs, and windows; faulty electrical wiring; insufficient insulation; defective mechanical and plumbing; termite infestation; and more. Land movement: Examples include underground water sources, inadequate drainage, expansive soils, landslides, earth movement, improper compaction, and similar conditions. Both categories of defect can be catastrophic and result in personal injury as well as substantial property damage. Every builder’s warranty differs in terms of what is and isn’t covered, length of the coverage period, and what the builder will do to correct construction issues. Most warranties will not address the majority of typical construction defects, and they will often require you to arbitrate and refrain from suing in court. Be sure to read the fine print, because the warranty may also state that you could pay the developer’s costs if you lose your case. Whatever you do, do not blindly assume that the developer will correct any defects to your satisfaction. Warranties are marketing tools more than anything else. To prove that a defect exists, you will need to hire an independent expert with the education, experience, and training to testify about defect causes in court. If your roof has a defect that causes it to leak, you will want to engage an expert who has designed sound roof systems and has experience in evaluating defective roof systems. Although an expert may help win your case, they can be expensive (up to $300 or more per hour), so consult an attorney before hiring the expert to control the expenses and protect the information. In terms of recoverable damages, courts will award condominium owners’ associations the cost of repairing the defects. You can also claim any reasonable amounts paid to experts to determine the cause of the defects and supervise the repairs. Any amounts paid for temporary repairs (i.e. to prevent further damage) can also be recovered. If you had to leave your home because the defect(s) made it uninhabitable, relocation costs may be reimbursed. If the developer has defrauded the buyer, courts may award punitive damages. If you’d like to learn more about any element of construction law, we are here to assist. Please contact us today! Whether you are the contractor or the owner in a construction project, having a good contract in place before any work is started is absolutely essential. It will help to make sure everyone is on the same page so there is no confusion or miscommunication. It can also help to minimize the risk of litigation after the job has begun. Oversimplifying the Contract – Many people try to keep the contract extremely simple. While there is generally no need for a 200 page document, the contract MUST include everything that each party has agreed to orally. Make sure all contracts answer the main questions about the job, which can be summed up as “who, what, when, where, how and how much.” If your contract does not answer one or more of those questions, it should be revised. Improperly Identifying Individuals & Companies – Remember, the contract is a legal document so you should be using the legal identifiers of everyone involved. If hiring a contractor or sub-contractor, for example, make sure to use their full business name throughout the contract. In addition, make sure the person signing the document has the legal authority to sign on behalf of the company. Using Standard Contracts without Necessary Revisions – Many contractors use generic legal contracts to help simplify the process. While this can be a very useful option, it is also important to make edits to it as needed. Make sure the final version of the contract properly reflects the actual work that is being done as well as any other details that are being agreed upon. Failing to Read the Entire Contract – This is perhaps the biggest mistake people make when it comes to any legal document. Even if you trust the people involved, it is best to have everyone read through the contract completely to ensure there are no mistakes or misunderstandings. We highly recommend that you have a construction attorney read it as well. By avoiding these four common mistakes you can help ensure that the job will go much more smoothly. In addition, everyone will have the written document that they can refer to in the event that there are any disputes during or after the job. If you have any questions about construction contracts, please don’t hesitate to contact us – we look forward to assisting you!